This week designers have been putting the finishing touches on their rooms in the Luxe Magazine Greystone Mansion Showhouse. The magnificent 46,000 square foot Tudor Revival estate, built overlooking Beverly Hills in 1928 for oil tycoon Edward L. Doheny, took over three years to complete at a cost of over three million dollars (a vast fortune at the time). 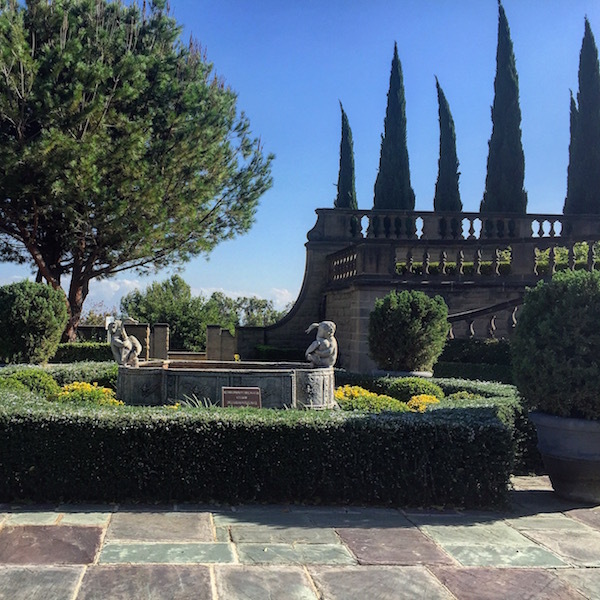 Now owned by the city and designated a National Register of Historic Places, the mansion and stunning formal gardens on the 18.5 acre property are overseen by Friends of Greystone, a non-profit organization dedicated to preserving, protecting, and enhancing the estate. I had a chance to stop by the public gardens which have spectacular views over Sunset Boulevard and the city. 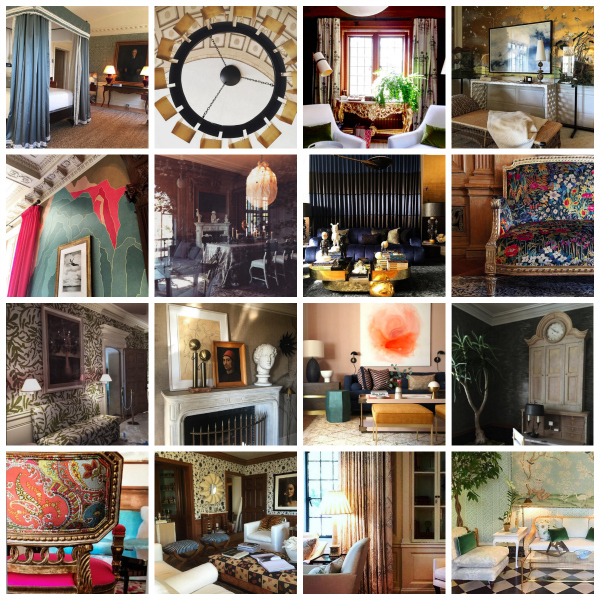 Editor in Chief Pamela Jaccarino has assembled an impressive group of designers from across the country and while the press preview for the showhouse isn’t until Wednesday, the designers and the magazine have been sharing sneak peeks on Instagram. I assembled them into a collage to give you an idea of the level and variety of the rooms. I’m looking forward to sharing with you the finished versions as soon as allowed! This entry posted in architecture, art, interior design, travel. 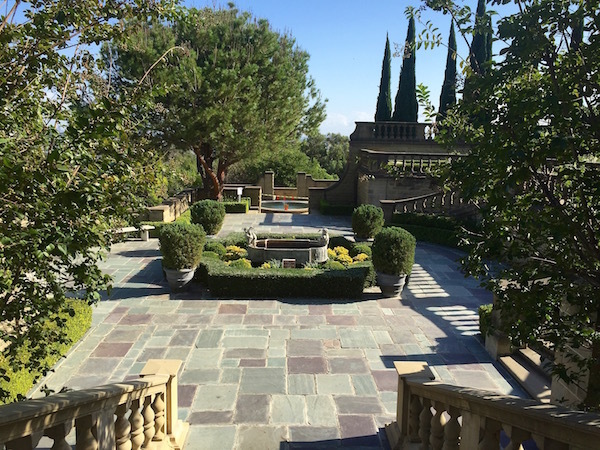 Entry Tags: designer showhouse, Greystone Mansion, interior design, Los Angeles, Luxe Magazine Bookmark the permalink. Can’t wait to see! I live close by and can’t believe how much the city is not advertising this. Thank heavens for Insta! And you! 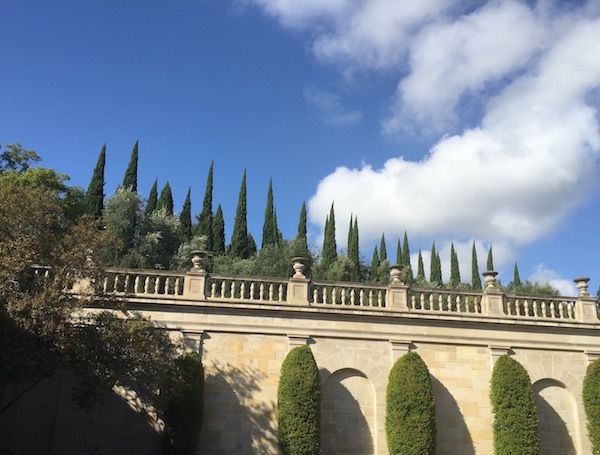 Stacy, The Greystone Showhouse looks amazing, thank you for sharing a glimpse of whats to come and the interesting history of Greystone Mansion. This is a stunning insight….thanks for compiling these photos! Can’t wait, Stacey! 81 queries in 0.473 seconds.